We currently have the following Heated Pools in India, but we are always grateful for any corrections or contributions. Get in touch by way of our make contact with form. Please, use the contact facts supplied at every pool profile. There are usually discounts on the market to senior citizen and small children. Find out by contacting your nearest pool in India. These are the Swimming Pools other users have reported. Are you a local and your pool is not listed? Contact us to ADD IT. It's totally free! Traveling to India? This is the correct spot on the internet to find places to swim in India. Every day you're not swimming you are losing precious time to increase your skills a be a better swimmer! No a lot more excuses!. Most from the Heated Pools in India offer both open lanes for independent swimming and also guided activities like water aerobics or aquabike. Without a shadow of a doubt, swimming in Kolkata is the finest method to unwind right after work. 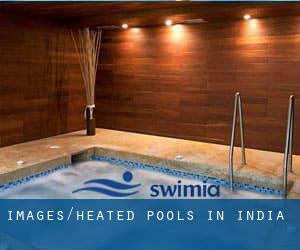 Take a couple of minutes to browse Swimia's catalog to find a Pool in Kolkata. Let us tell you a secret to switch off whilst you will be in Ahmedabad: just select a Swimming Pool in Ahmedabad and plunge into the water! There's no more productive technique. Swimming is often a superb idea to keep your body active in the course of your visit to Delhi (India), or even when you are a local. Swimia helps you to find your closest Swimming Pool in Delhi. It's difficult to visit India without having dropping by Mumbai (with 12.691.836 residents). Currently Swimia is showing you all the Swimming Pool in Mumbai and the closest pools situated in its vicinity. Whereas Chennai is one of the six most populous cities in India with nearly 4.328.063 residents, you shouldn't miss that one if you're going to India. Holding an estimated population of 5.104.047, Bangalore is one of the most important cities in India. Check all the Swimming Pool in Bangalore and its surrounding region. Lower Tank Bund , Hyderabad , Andhra Pradesh (Postal Code: Unknown). This sports centre gives 25 meters x 41 feet, Indoors. For this Swimming Pool, only phone number is number here. The Palace Estate , Narendra Nagar , Tehri - Garhwal , Uttaranchal (Postal Code: 249 175). Swimmers like you reported 25 meters ""lap pool"", Outdoors. Phone number and e-mail address are number for this Swimming Pool. Updated on 2019 Sahar Airport Road , Mumbai (Bombay) , Maharashtra (Postal Code: 400099). Swimmers like you reported ~30 meters, 5 feet uniform depth, Outdoors. Phone number and e-mail address are number for this Swimming Pool. Opposite Raheja Gardens , Near Teen Hath Naka , Thane West , Thane , Maharashtra . This great and large sports centre lets professional swimmers like you enjoy Olympic size x 25 meters, 8 lanes, 1 meters - 2.5 meters depth, 1 meters - 2.5 meters depth, Outdoors. Additionally, within these facilities you can try 25 meters x 12.5 meters, 1 meters - 2 meters depth, 1 meters - 2 meters depth, Indoors. Unfortunately we do not have the email address of this Swimming Pool, but we can give you the phone number. Strand Road , Kolkata (Calcutta) , West Bengal (Postal Code: 700 001). This sports centre delivers 25 meters, Indoors. Contact information for this Swimming Pool such as phone number and e-mail address are number. 7 Wood Street , Kolkata (Calcutta) , West Bengal (Postal Code: 700 016). Swimmers like you reported 23 meters, 4 lanes, Indoors. Unfortunately we do not have the email address of this Swimming Pool, but we can give you the phone number. 120 Deshapran Sasmal Road , Kolkata (Calcutta) , West Bengal (Postal Code: 700 033). Swimmers like you reported 25 meters, 4 lanes, Indoors. Phone number and e-mail address are number for this Swimming Pool. Goner Road , Jaipur , Rajasthan (Postal Code: 303 012). Among all the activities offered by the centre, should you be interested in swimming you are going to take pleasure in 25 yards, Outdoors. If you might want to make contact with this Swimming Pool, email address and phone number are both number. Bhulabhai Desai Road , Breach Candy , Mumbai (Bombay) , Maharashtra (Postal Code: 400036). Swimmers like you reported 33-1/3 yards, Salt Water, Indoors. Unfortunately we do not have the email address of this Swimming Pool, but we can give you the phone number. 443 Udyog Vihar , Phase V , Gurgaon , Haryana (Postal Code: 122 016). Among all the activities provided by the centre, in case you are interested in swimming you can enjoy 30 meters, 4 lanes, Outdoors. If you'll want to get in touch with this Swimming Pool, email address and phone number are both number. Talkatora Road , New Delhi , Delhi (Postal Code: 110001). Few days ago a standard user of this centre told us they offer Olympic size x 25 meters, 10 lanes, 2 meters depth, 2 meters depth, Indoors. Furthermore, they keep in good conditions 25 meters x 25 meters, 5 meters depth diving pool, 5 meters depth diving pool, Indoors. For this Swimming Pool, only phone number is number here.